Posted on October 19, 2016 at 11:23 am. 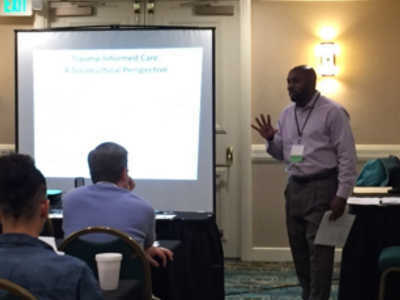 On October 6, 2016, BCC’s Director of Training, Monte Ephraim LCSW-C, and Shawn Elbert, BCC’s Baltimore Spiritual Life Coordinator, represented the Board of Child Care by presenting at the 36th Annual MARFY Conference. MARFY stands for the Maryland Association of Resources and Families. The annual conference, this year held in Ocean City, MD, brought together human service and mental health professionals from all over the region. Participant were introduced to The Child Welfare Trauma Training Toolkit (CWTTT), which is an evidence-based toolkit designed to teach basic knowledge, skills, and values about working with children who are in the child welfare system and who have experienced traumatic events. The toolkit teaches strategies for using trauma-informed child welfare practice to enhance the safety, permanency, and well-being of children and families who are involved in the child welfare system. Participants had an opportunity to review the toolkit and the applicable benefits to their own work. 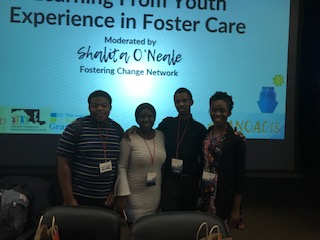 The presentation also discussed how to infuse trauma-informed care into an organization and make it a focus for each staff working with youth. Shawn and Monte will be also be presenting at the Maryland Division of Rehabilitation Services (DORS) Conference on October 27th. Their session will focus on Mental Health First Aid, of which Shawn and Monte are certified trainers.